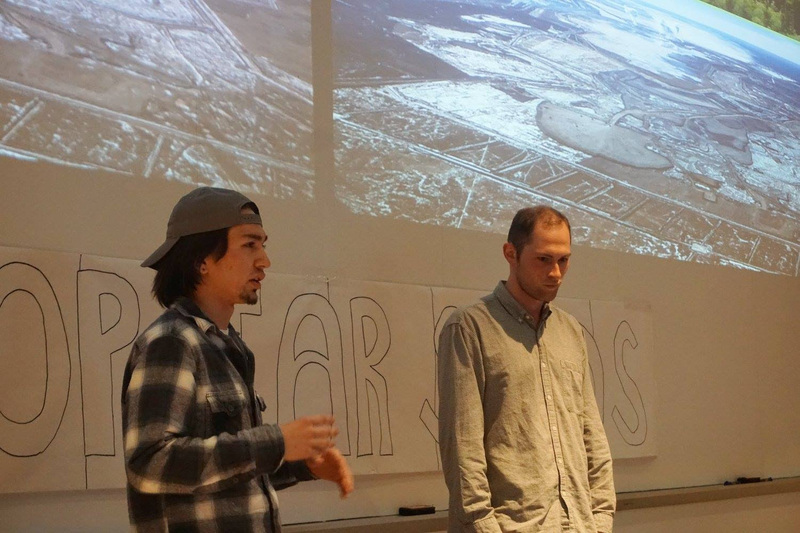 On April 3 – 8, hundreds of students from across the University of Wisconsin system gathered to learn about tar sands and organize in opposition to them. 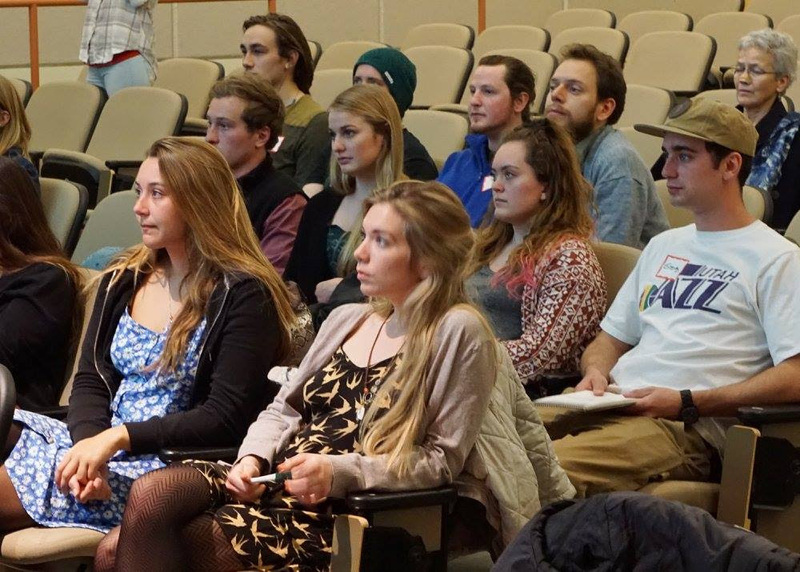 In five days, I traveled with Andy Pearson of MN350 and Cailie Kafura, UW- Stevens Point student and former 350 Stevens Point president, to seven campuses across Wisconsin to talk about tar sands pipelines in the Midwest and to share the stories of this fight. Half of each stop was dedicated to conversation, breakout groups, and next steps that each campus community can take to fight these pipelines. 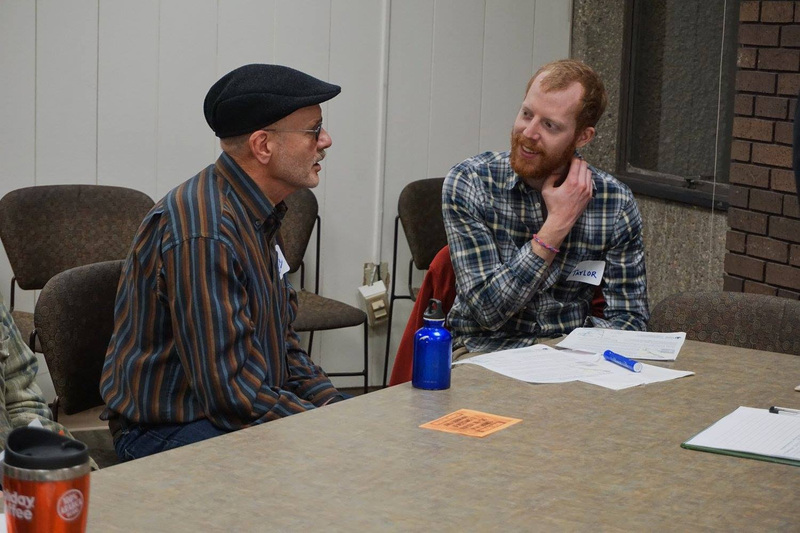 Our journey began at UW-Milwaukee in a room with few, but powerful people – including Citizens Acting for Rail Safety – Milwaukee (also known as CARS). 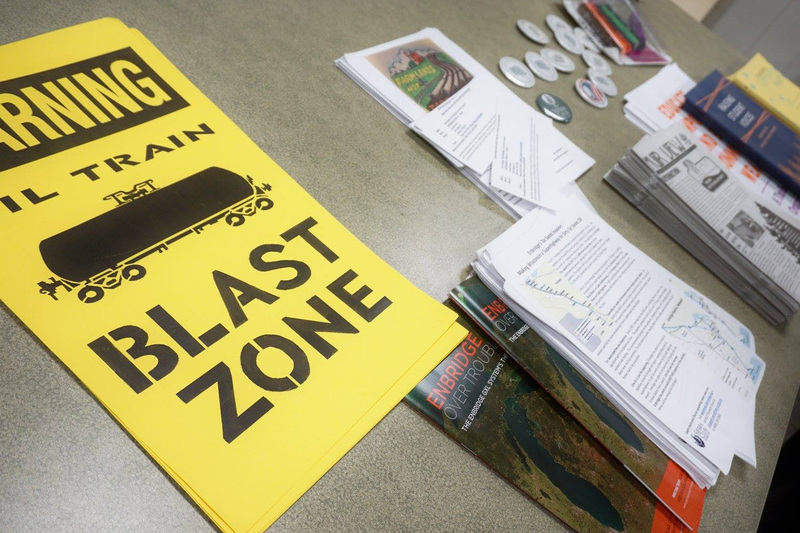 We shared knowledge about tar sand pipelines and CARS shared information about explosive oil trains – some of which carry tar sands, but most of which carry fracked oil from the Bakken shale. 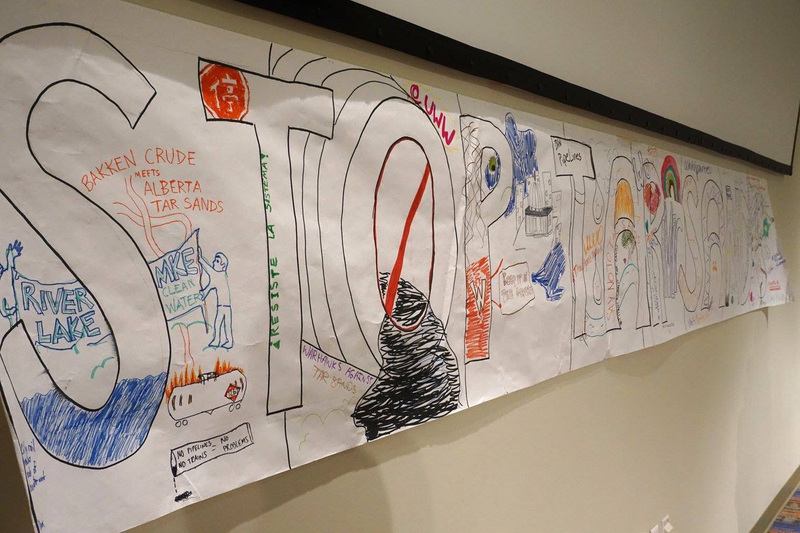 It was powerful to see the connections between oil by rail and oil by pipeline and to realize that we are all asking for the same thing – for extractive industry to stop, for tar sands and fracked oil to be kept in the ground, and for our communities to be safe. 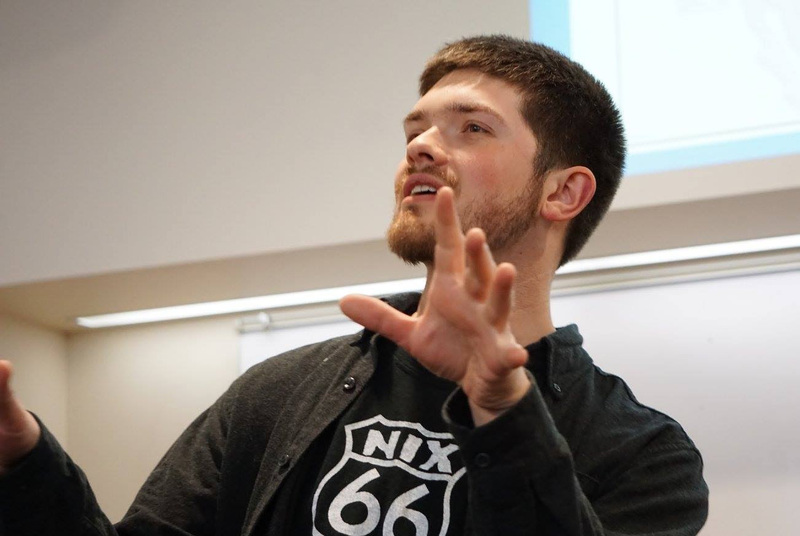 Whitewater is building a foundation for students to become long-haul organizers. 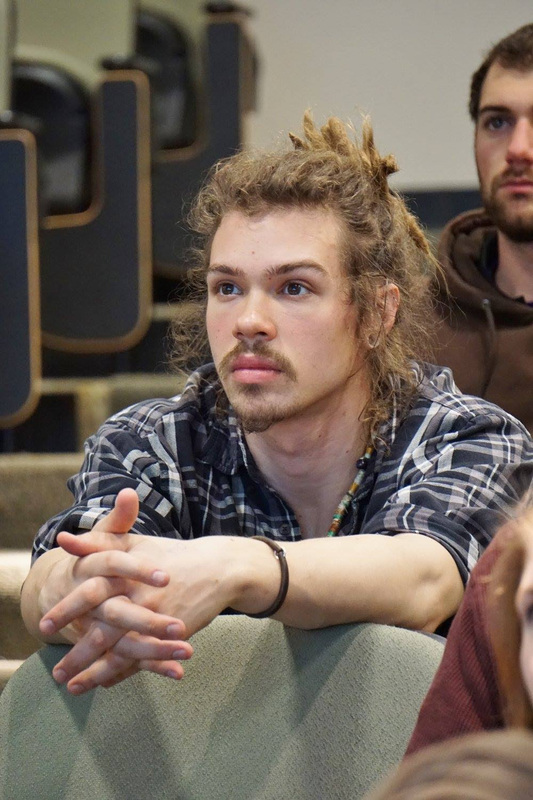 Lorenzo Backhaus talked about his journey in the movement, which went from learning about tar sands to being arrested less than a year later at a sit-in in the Enbridge office in Duluth. 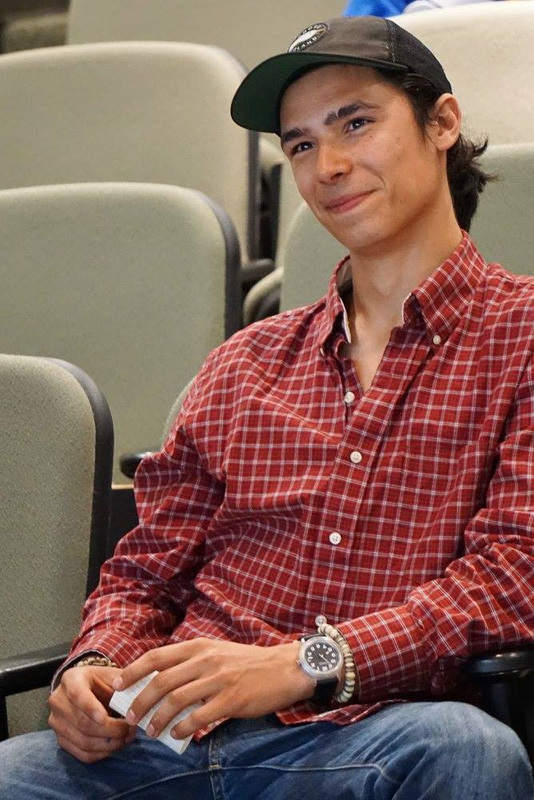 Lorenzo was joined by Karl Brandstaetter, another student at Whitewater, who is affectionately called “water Karl” by the 350 Madison tar sands team. Karl explained his involvement in this fight through the desire to protect water resources and how he has helped with planning last year’s Midwest Tar Sands Resistance Tour stop in Whitewater and risked arrest in front of John Kerry’s house during Midwest Unrest, showing opposition to Enbridge’s scheme to transport more oil over the US/Canada border. Beyond sharing powerful stories from Whitewater students, it was also one of the few stops attended by alumni, one of whom drove up from Illinois to attend. If that doesn’t demonstrate the powerful movement-building happening there, I’m not sure what does! 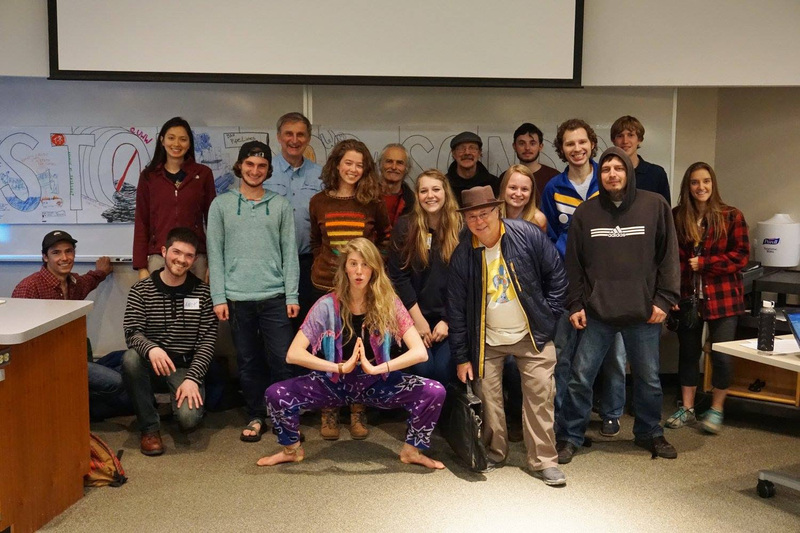 Directly after our afternoon stop in Whitewater, we headed to UW-Madison, where we were joined by 350 Madison, who helped fund the tour, and Madison’s Sierra Student Coalition. 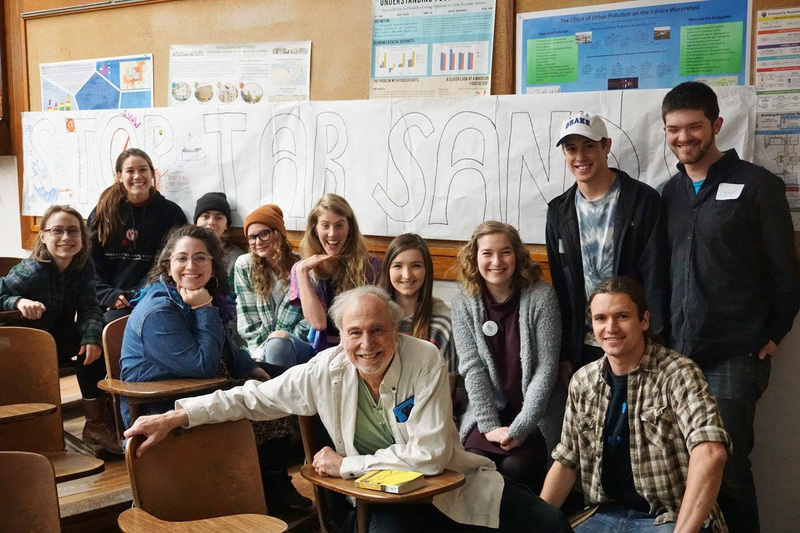 Madison’s community members have been engaged in the fight against tar sands pipelines for quite some time, but this tour stop brought in many new students (over 25!) eager to learn and to get involved. 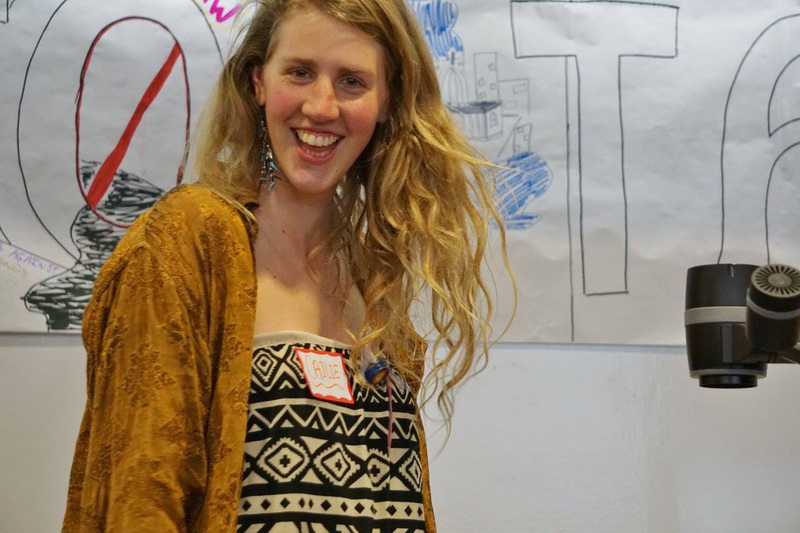 Sierra Student Coalition’s campaign coordinator Rachel Becker jumped right in and spearheaded an outreach campaign to other student groups and to community groups. She worked to line up local speakers - Ben Peterson, Madison student and 350 Madison member, and Peter Anderson of 350 Madison. 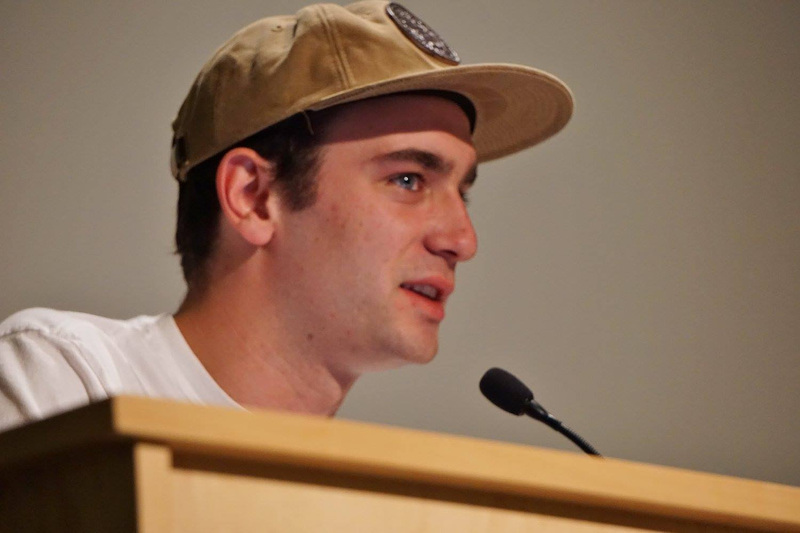 Ben shared his story, which resonated deeply with many of the students in attendance, and Peter gave a rousing talk about the moral importance that this fight holds; we need to act now and build people power so that we can win against these huge corporations. The attendees of this tour stop left feeling empowered. 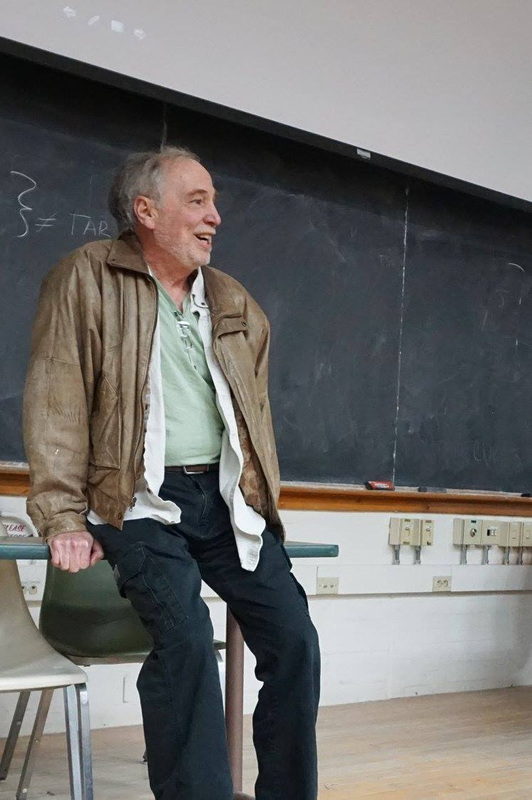 Tuesday brought Andy, Cailie and myself to UW-Oshkosh, a campus that none of us have worked with much before – but WOW! The students at Oshkosh were ready to take any challenge head on. Several had looked up information about tar sands before the event and asked some of the most thoughtful questions I’ve heard from students. 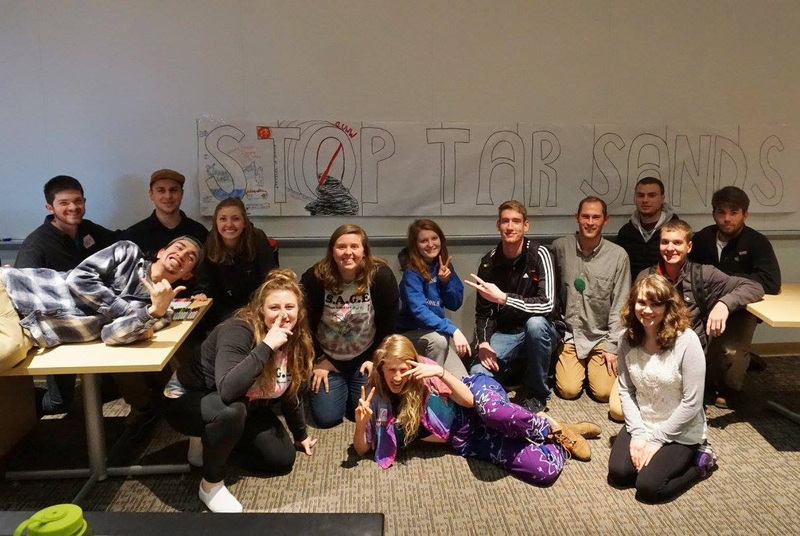 All made significant commitments in terms of next steps in the movement, like organizing their peers to attendMidwest Break Free and passing a student government resolution opposing new or expanded tar sands infrastructure in Wisconsin. Oshkosh also reminded me of one of the most powerful parts of movement building: strengthening relationships. After the Oshkosh tour stop, three of the students went to dinner with us; we talked and watched the Wisconsin election results come in together. That dinner was one of the most rewarding movement moments that I have had. It reminded me that if we’re in this fight in the long run, we need to learn about each other and build trusting and loving relationships. Oshkosh was just the halfway point on the tour, though, and there were still many rewarding experiences to come. At UW-Stevens Point, the home turf of one of our tour members, we had a rip-roaring 60 people! We were also joined via livestream by a handful of individuals and by room of students from UW-Platteville. Cailie gave a powerful talk about how she entered the movement and the ways in which she has grown since entering this work. While I have only visited Stevens Point twice, being on that campus among 350 Stevens Point and other active students and community members feels like a home base to me. The movement work that is being accomplished there is exciting and refreshing. Our final day was another double-stop day, to UW-Stout and then to UW-River Falls, both of which had around 25 people attend. 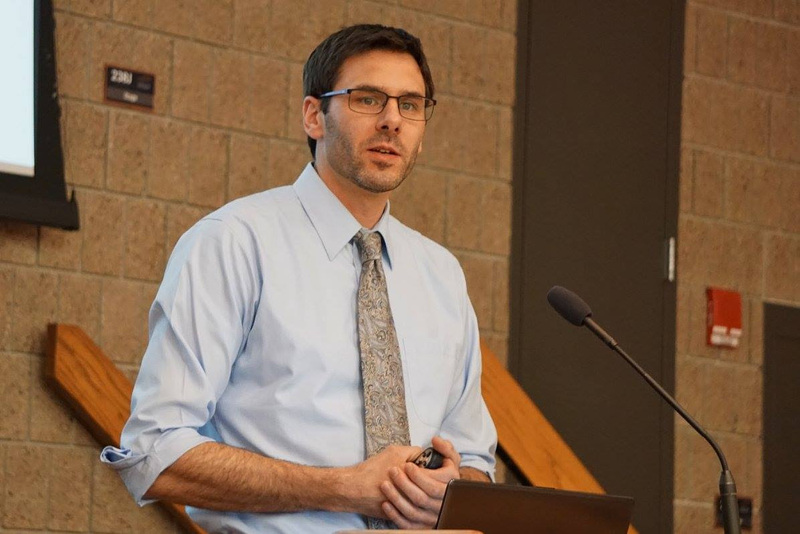 At Stout, Dr. Thomas Pearson discussed his research on grassroots movements in Wisconsin against frac sand mining, further connecting local issues, the “keep it in the ground” narrative and the Enbridge fight (as mentioned earlier, there are Enbridge lines that carry fracked oil). students from Stout several times; both are extremely busy but effective student leaders. However, they were notthe main coordinators for the Stout tour stop. Instead, they connected me with two other students who were newer to organizing but wanted to get involved. This delegation and balancing of tasks between new movement members is something that we all can learn from. The organizers of the Stout stop, Connor Hobart and Emma DeRubeis, were incredible to work with! Both communicated clearly about what they could realistically accomplish, their timeline for outreach, and many other aspects of the tour stop. They also effectively built out a functioning recruitment team to help poster, table, and chalk to spread the word about the event! This type of leadership, delegation, hard work and organization is something that all event-planning teams hope to have. 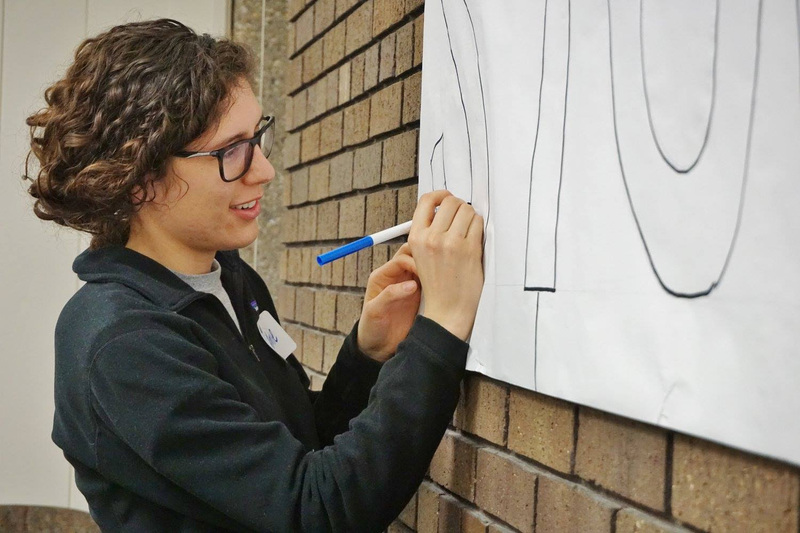 The team at UW-Stout can teach us all a lot about how we can work together to accomplish great things, and I’m so excited to see how this continues to grow on their campus! And finally, we completed the tour at UW-River Falls, where the student group ECOS, organized the tour stop and led outreach. 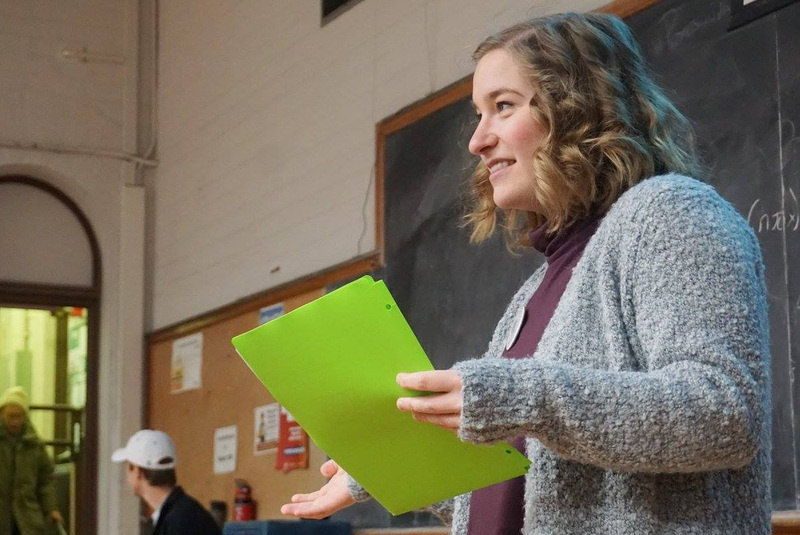 With over 25 attendees, students said that this was one of the highest-attended events they’ve hosted that didn’t offer extra credit when students attended. 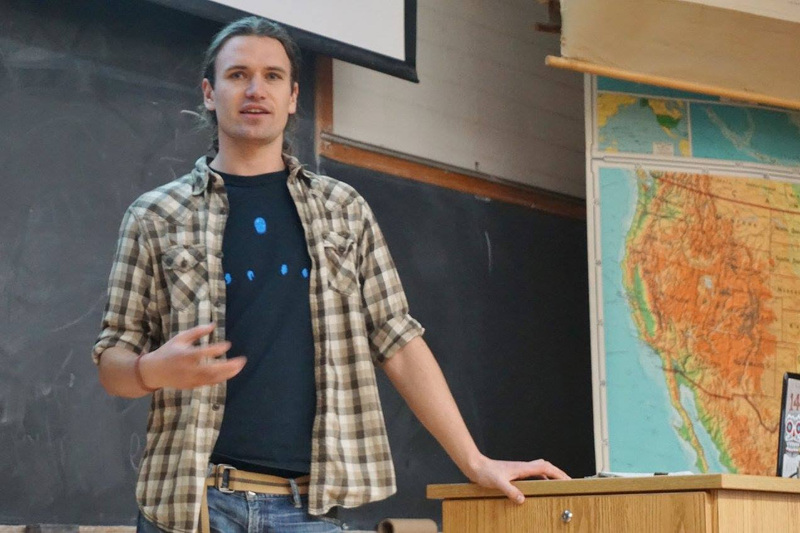 Greg Mathews, an ECOS member, talked about his journey to involvement in the tar sands fight. At this stop, there was again strong commitment to follow through with next steps. actively working to engage students who may carry a different worldview or come from a different upbringing. They discussed how the issue of pipelines impacts rural landowners, farmers, and environmentalists alike. These college students already understand that urban-rural alliances are vital for building power. 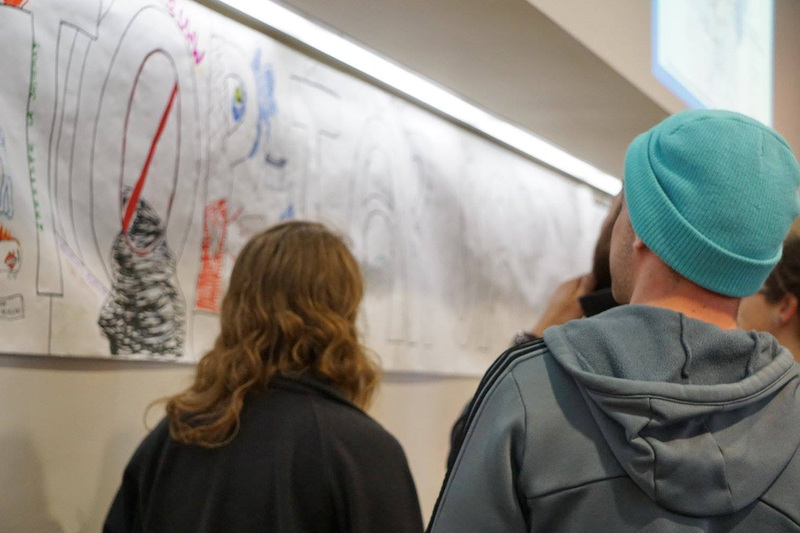 At the end of the tour a student at River Falls looked at the completed banner that each campus had added to and observed that the drawings on the banner start with oil trains and pipeline spills and end with rainbows, water, and trees. I do not think that this was a coincidence. I think that that banner tells the story of the fight that we are living. There is something better than extreme extraction and environmental destruction. 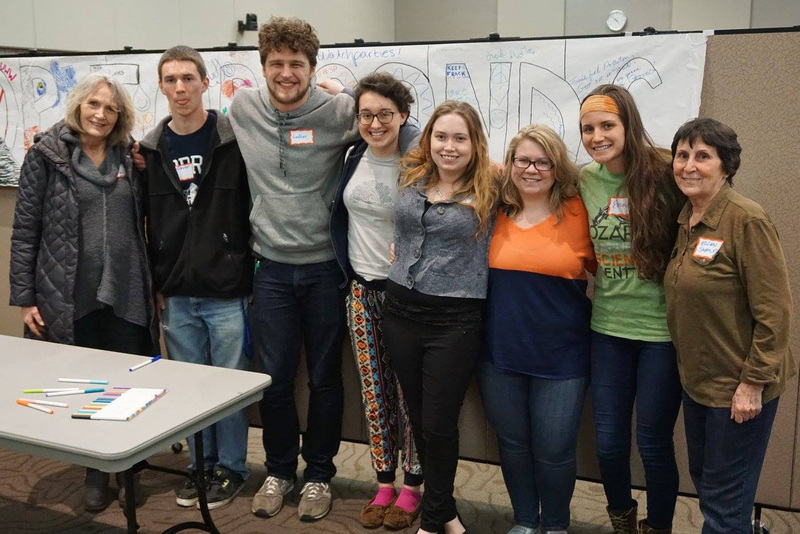 Together, students in Wisconsin, community members in the Midwest, tribal members throughout the country, and organizers around the world are building a just transition to something better. I invite you to join us. 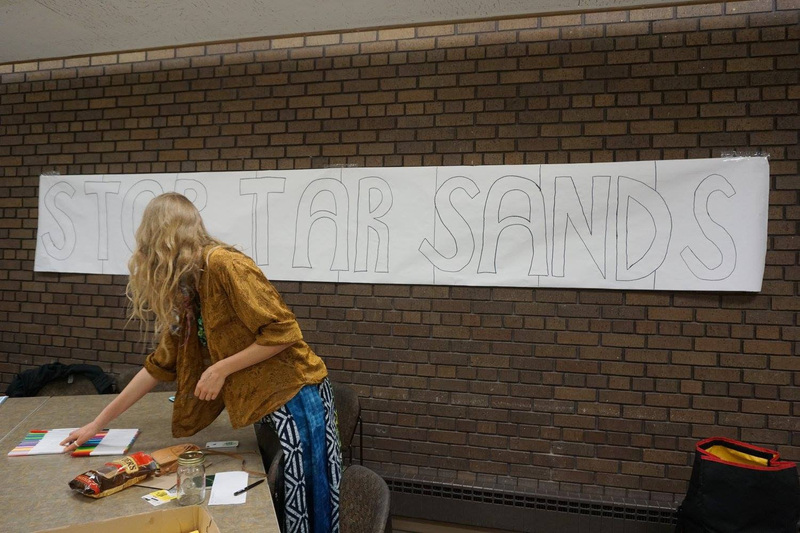 To view all of the pictures from the Tar Sands Tour, visit the Facebook photo album. 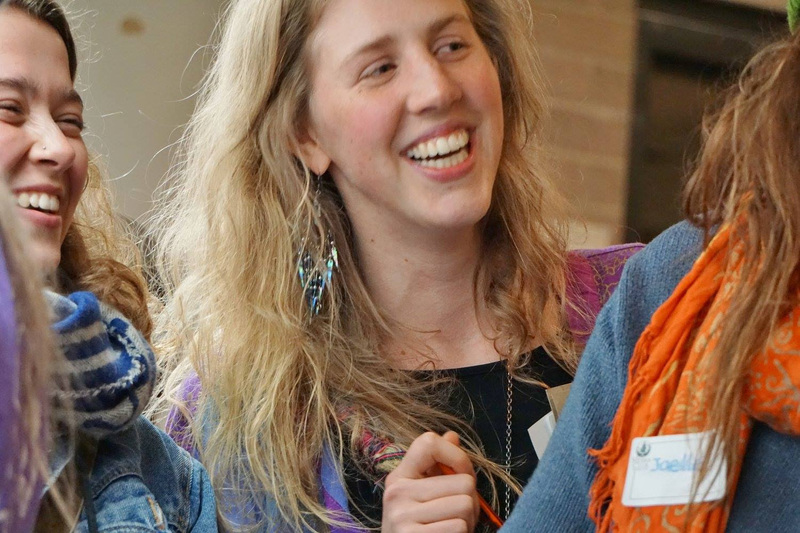 Cassie Steiner is a staff member with the Sierra Club – John Muir Chapter; the Wisconsin Tar Sands Tour was her first week full time.